With the flatter side down, it can be sat on and stood on for balance related movements, while placing the rounder side down provides a more challenging, dynamic workout. In addition to functioning as a therapeutic aid for rehabilitation and balance training, the SMARTROLLER® can be used as an exercise prop for a variety of disciplines, including Yoga, Pilates and Feldenkrais®. Dr. Feldenkrais, a physicist and martial artist, originally introduced the foam roller to assist sensory motor learning and to promote higher states of body awareness. Building upon his ideas, the SMARTROLLER delivers an improved integrated experience to deepen motor learning. Approximate measurements: 36" Length x 6" Width x 4" Height. Check out Stacy Barrows' lecture that she created for Movement Lectures entitled "Foam Roller Methods for Optimal Posture and Movement Organization." Many of my over 55 students have issues with balance and comfort when on a foam roller. 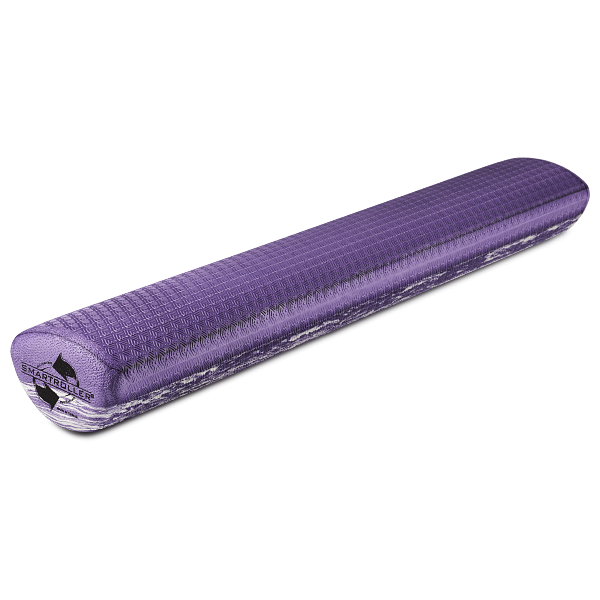 They LOVE the Smart Rollers bc they are lower profile, so more comfortable for issues with shoulders, elbows or shorter arms; the Smart Roller&apos;s "aircraft carrier" shape provides the option of varying stability/challenge; and Smart Rollers are just more comfortable than any other roller. The only thing I haven&apos;t figured out is how to use them for fascial-release. They are not cylindrical, so the body cannot complete a full rolling motion against them; but there has to be a way. Right? I have been using the SmartRoller for five years. It has improved my posture, made me more limber, and erases back pain when I have it. It stretches me gently but with great effectiveness. This is a revolutionary and really wonderful product that has made a huge difference in my quality of life. I use the Smartroller all the time and recommend it to my clients. It is not unusual for me to hear from them, "I use it every day". 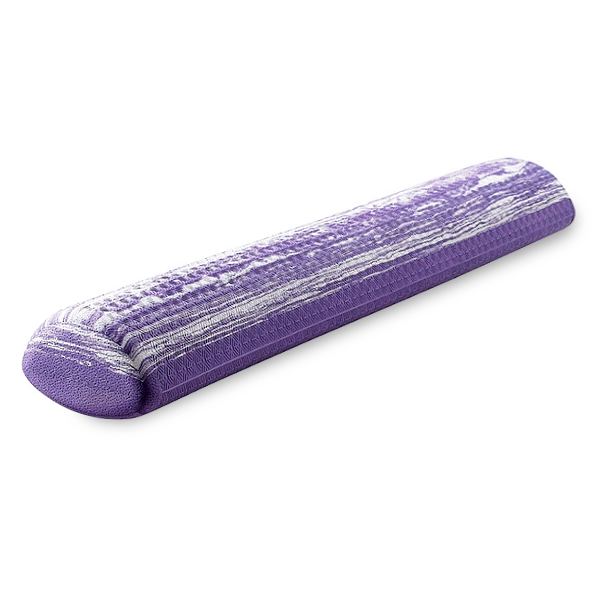 I love to lie on it because you can feel your spine lengthen and be comfortable in the process, which has not been the case for me with normal foam rollers. The curved edge that makes stability easy is a big plus, you can focus on micro-movements happening internally without working so hard to balance. The comfort and balance make for more time to learn how to move with ease. I highly recommend owning one. I took a smartroller workshop with Stacy Barrows a week ago and it changed my life. I didn&apos;t even feel time pass during this 5 hour session. It was easy to follow and even better, easy to remember. I was amazed to see myself relax so quickly and become so aware about my body and how I position it. I suffered from shoulder pain for years and it is now gone. I have continued to use the smartroller almost daily and look forward to learn more about it. The SmartRoller is the perfect fit for my back. I have a birth defect that bothers my neck and shoulder on one side of my body. The SmartRoller fits perfectly against my spine. My shoulders can fall open without getting hung up on the roller. It is really much better than a foam roller just cut in half. The gentle rocking is also very soothing and allows for greater relief of my neck and shoulder. I have been doing it almost everyday after I brought it home! I also like doing balance challenges sitting on the roller. I am positive it will help me be an awesome surfer at 52!!!! I can&apos;t wait to use it with my clients! 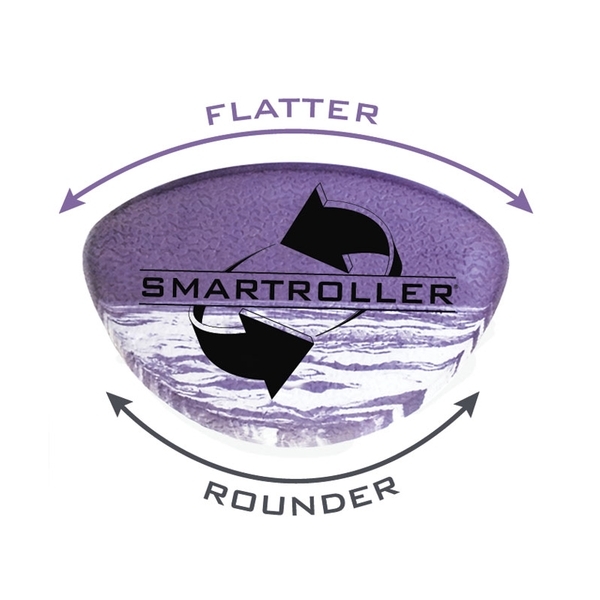 The SmartRoller is much more comfortable to lie on, but without taking away any of the effects of instability, than traditional rollers! My favorite 2 activities with the Roller?? -- Rolling up to sit, holding on to a leg, and trying not to fall off!!!! -- Standing on the roller when I am using my iPad at a high counter. I love to play with the challenges of moving through space (arms, legs, head, torso), while staying balanced (i.e. not falling) and being able to breathe! It is SO different from doing it on a stable floor, and I feel the benefits throughout the whole of my torso. (Not to mention to continual brain surprises). Bravo Stacy! The SMARTROLLER has my back! A couple years ago, I injured my lower back to the point where I was unable to walk without terrible pains in my back. I couldn&apos;t play any sport and I was feeling pretty down. Then, I was introduced to the SMARTROLLER and it changed my life. I would use the SMARTROLLER a couple times a day and within a month I was back out on the field playing the sports that I loved! Even if you do not have any injuries, the SMARTROLLER is great to keep your body alignment perfect and healthy. I use the SMARTROLLER every morning before I start my day which allows me to feel strong and ready to take on the day! I would recommend the SMARTROLLER to any and everyone! I use the smartroller at least 2 or 3 times per day and it is the one of the best things I do during the course of the day to keep my back and hip happy. Just lying on the smartroller relaxes my body, in addition to helping my back, neck and muscles in my jaw relax and stay pain free. While regular rollers may require forcing relaxation through rolling on them, the smartroller requires no force and painlessly relaxes the muscles just by laying on it. If you have any neck, back or hip pain I highly recommend the smartoller. You won&apos;t be disappointed . I&apos;ve had multiple injuries from a biking accident and this is one of best ways I reset each day!